Electronic Design Tips Explained By Professionals! Electronic design is not something which you can just draw on a sheet of paper with your gut feeling. You have to research well and should know all the technicalities involved in its designing. A successful schematic should be well understood and read by others. Your schematic should not be so much complicated that even its objective gets hard to understand for its reader. No matter if you are a beginner or well experienced, following tips will surely help you in creating a successful electronic design! One of the initial and most important aspect in electronic designing is the block diagram. It should well depict your document extract through the hardware design. Similar to an essay outline, it should not take too long to add. In short sense, it should tell your architecture overview with a reference to your reader at the same time. Naming the nets is recommended greatly on each and every electronic design schematic created. Yes, it is a time consuming process but you should definitely name each and every net as this is required to debug your program and allow simulation runs. There will be a lot of people who would not encourage you for the same but trust us, this will make your design shine out for sure! It is very important that whatever design you create, you should make it flow. For this, you might be required to draw a dozen pages and organize the blocks. Never ever try to cut short your schematics as this will make it very hard to get followed by your readers. You obviously don’t want to keep it concise at the cost of your reader hardly understanding anything! Your electronic schematic design should have connectors which actually look like connectors. It should have pins arranged in order and draw the connector. Th simple logic behind this is that if they are easy to recognize, they will be easy to follow too! It is recommended greatly that you always make and keep your notes of the electronic design. This will let you know what all you did and why you did it. For eg you will remember why you added a component and why didn’t added a specific one? 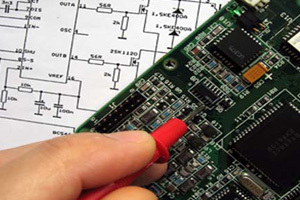 All these things will help you in the future to make a better electronic design. If you are finding difficulty designing your electronic board or want to get it created by top professionals, feel free to contact GC Custom Electronics in Winnipeg. Our professionals will clear all your doubts and provide you with an advanced and durable electronic design at the most budget friendly price!